ARTEMIDE CHOOSE MEGA SUSPENSION is a lamp. It is a lighting fixture with a transparent antistatic polycarbonate diffuser embellished with vertical internal slits, which allows a better light diffusion. The diffuser is covered by parchment paper. Extremely versatile it integrates and disappears in the space. 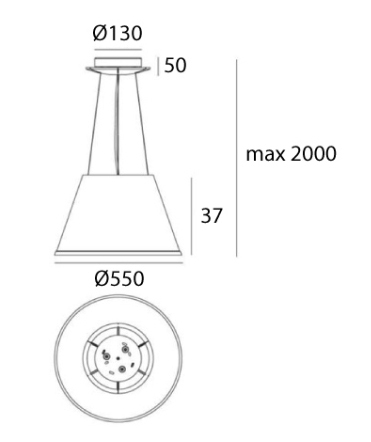 Bulbs not included, 33x77W Halo o 3x10W LED DIM (E27). Dimmerabile.